NatWest (National Westminster Bank) will be piloting biometric payment cards supplied by Gemalto in an upcoming trial. 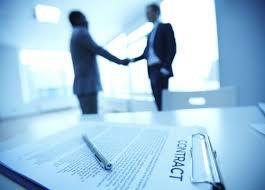 NatWest is a retail and commercial bank in the UK and part of The Royal Bank of Scotland Group. The trial will have 200 customers using their fingerprint to verify transactions over £30. 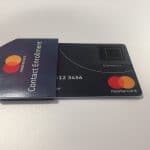 The EMV cards are powered by the terminal, and enable customers to tap their cards at standard contactless POS terminals and authorize the transaction with a fingerprint. Adopting the cards to replace PIN or signature verification removes the limits previously placed on the value of contactless payments. French bank Societe Generale also removed the amount limit on contactless transactions during its biometric banking card trial of IDEMIA technology in November. 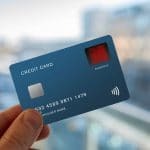 Goode Intelligence noted in a recent report that the ability to use contactless cards for higher value transactions is one of the potential drivers which it predicts will lead to the use of biometrics for payments by 2.6 billion people by 2023. The announcement noted that NatWest is working closely with Gemalto, Visa and MasterCard to bring the service to customers in the UK. Italian banking group Intesa Sanpaolo ran a similar trial of the Gemalto biometric card in December. Gemalto Director of Biometrics Fred Martinez recently spoke with Biometric Update about some of the issues to address in bringing biometric cards to the mass market.